Normally when I think of the word “glitch” something gone wrong comes to mind. Glitch Breaks by Alex Matheu is an insanely fun and very useful app. Right off the bat I found myself right at home with the strait forward and intuitive user interface. I was immediately pulled in fiddling with the 4, x/y, continuous audio (channels) pads loaded with selected preset beats. Selecting one pad with a simple touch plays a beat that you can either load with one of the very cool 90 beat loops or something you created and imported. 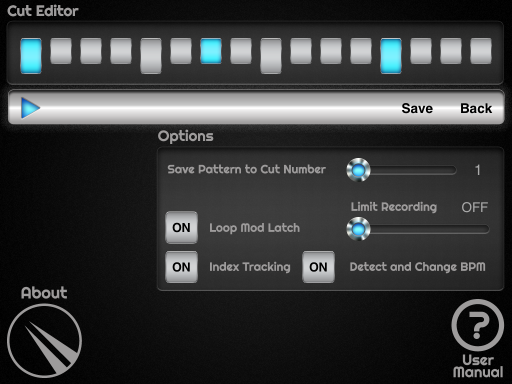 Switching between pads is seamless, each has its own level control, and all with no break in the audio at all. Tap one pad mutes the last and manipulating the “glitch”, Cut” or “Loop Modulation” pads allows for some pretty crafty glitched out break beats. 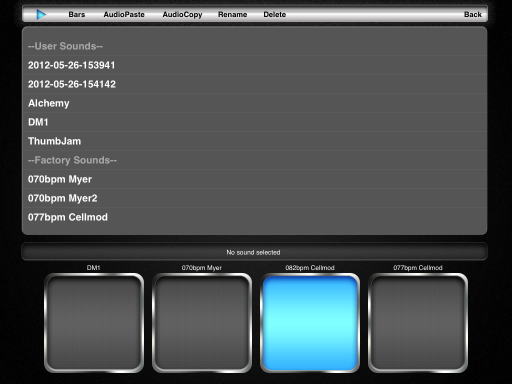 You can also control pitch and reverse the audio for more effect. It has many features like, background audio, quantize, Audio Copy paste, iTunes File Share and many more. 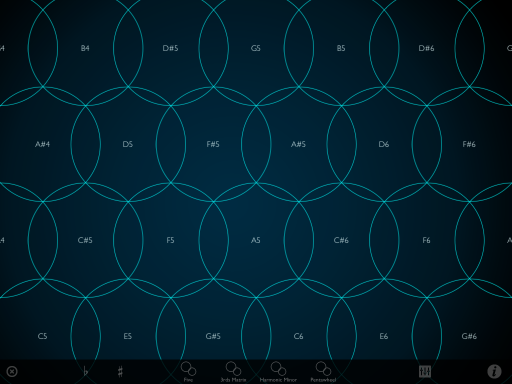 Just tap, touch, swipe your way through some cool sounds gone glitch with ease. It’s that easy, but the sounds are complex. Loading a new beat to a pad from the library of presets or user imports won’t interrupt the flow one bit making Glitch Breaks perfect for live performances. This is one serious and very satisfying glitch machine. Whatever type of musician you fancy yourself to be, this will not only be a blast to play with, but also indispensable for creating some pretty wild stuff live or in the studio, or where ever you feel the craving. It’s not all just beats, you can manipulate any audio from vocals, synth solos, or Chopin if you like. Thanks to the 1 to 4 bar or no bars, selection function you’re not limited to strictly tempo based audio. I’ve spent many hours playing with Glitch Breaks, cutting, and modulating my way to pure glitch bliss. It’s unmistakable high quality, effortless interface makes it easy to forget the world outside and go full tilt boogie to your hearts content. Yeah, I recommend this amazing app. Go to iTunes and buy it. You’ll be glad you did. 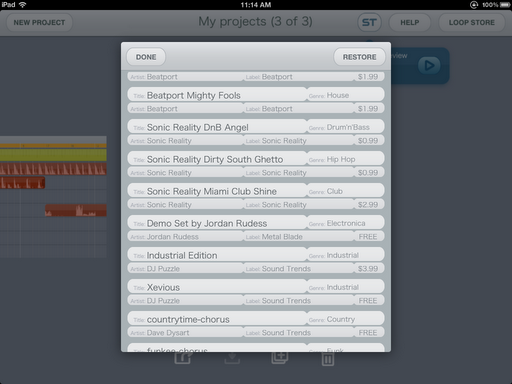 Sound Trends has been a big part of why I make music using the iOS platform since day one. I’ve always enjoyed the apps they make like Looptastic, Gruvtron, and all, but Studio HD is where serious work is done when a full arrangement and production is called for. With 24 discrete tracks that also include layering multiple audio files in individual tracks, there is no longer any shortage of work space for those larger songs with loads of various sounds, loops, FX, and recorded performances. Beats are synced effortlessly to match up with the project BPM even if originally wildly different, it still sounds natural. It comes packed with 14 quality real time FX controlled by an X/Y touch pad, and each track can hold up to 4 different FX each with its own individual setting. The FX are very nice, and work great. As usual my only gripe is about reverb, but we all know that’s the devices limitations not the developers. You can also have up to 4 global FX as well. Audio recording is supported by simply arming a track, and recording either with the devices built in mic, or also iRig Microphone. Other IO hardware is supported as well using the camera adapter. One of my very favorite features is being able to automate the mix. Faders, FX, panning, etc. Thanks to a handy multi undo feature anything that might have been an error, can be undone. One of the most important parts of working with iOS music is wireless sharing of files, and projects easily. Studio HD has it all covered with audio copy paste, drop box support, email, Open In, and share to Sound Cloud. Importing and exporting a recorded performance from other compatible apps is effortless. iTunes file sharing is also available. Working in Studio HD is a breeze. It’s just down right fun and easy. With high quality audio, a fully utilized multi touch interface, the time spent within the app working on a project never feels like work. Studio HD comes packed with hundreds of pre made loops of various popular genres for free. Hundreds more are available via in app purchase also. So whether it’s your own, or a pre made loop, they can all be included in the loop library clearly marked and differentiating users loops from the existing library. Auditioning loops during play in a project is also a feature making selections of just the right sound a snap. 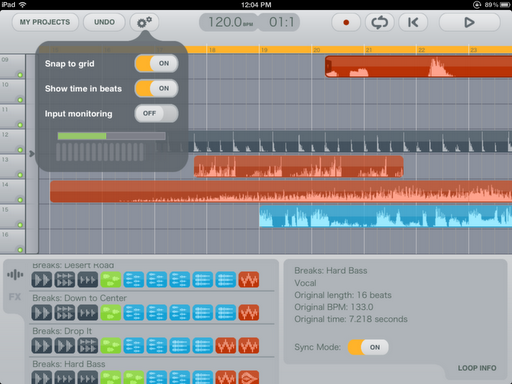 This is one packed music production application I find to be indispensable. 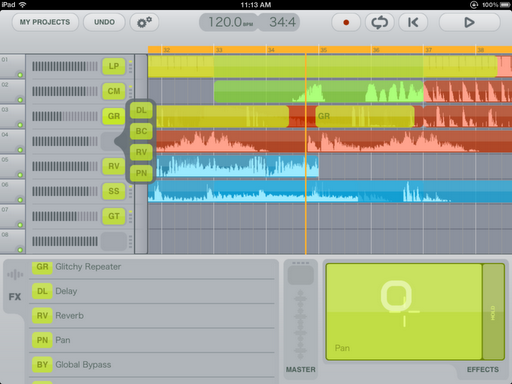 A truly must have iOS music production app. Thanks to very attentive developers who have a keen eye on quality and it’s customers needs you’ll never have to worry about getting assistance. I’ve found most issues some users have experienced to really be operator error. Studio HD is my first choice for crafting a music project. I used it for more than half of my album Technopolis Lost production with confidence. You are only limited by your own creative drive. 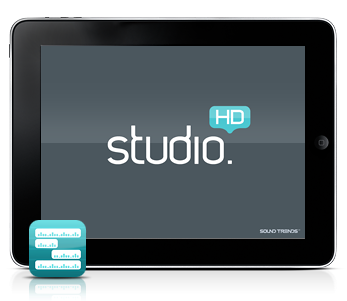 Studio HD continues to push forward with capability, and functionality. You can’t go wrong here. The technology of iOS devices has brought about some of the most interesting, and innovative developments in how music can be made, and played. From virtual studios, synthesizers, to instrument emulations, to original touch interface inspired musical instruments. So many to choose from. 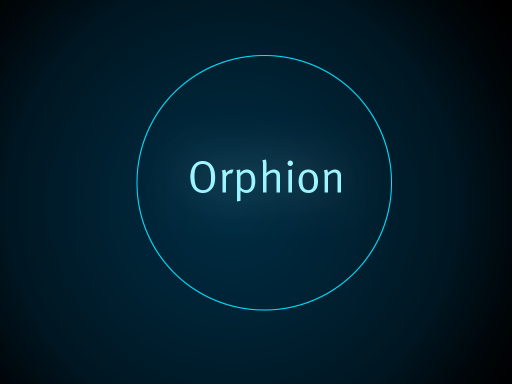 Recently I was alerted to Orphion, a Musical instrument with a sound between string and percussion for the iPad. I was trying to think of a way to explain Orphion. I couldn’t out do the creators description so the following is a quote from It’s creator Bastus Trump. “The concept of the Orphion results from my master thesis at UdK Berlin supervised by Robert Henke (aka monolake). The topic was to develop an interface for multitouchscreens which allows a maximum of expression. ~Bastus Trump. Visit his website here to learn more about this great app. You can choose between different layouts of tonally tuned pads, which sound differently depending on the finger position when played and can by modulated by further movements. The sound and the way of interaction is a mixture of string and percussion instruments and reaches from soft to plucked to a hard slap. After a couple hours playing with Orphion, linked to and playing sounds from Sunrizer Synth running in the background of my iPad 2, I was feeling very good about this instrument. It really does play and feel just as described. It is simple in design and connects effortlessly to other synth apps with virtual MIDI out, making its sonic options nearly limitless. The sound I was making was entirely influenced and controlled by my fingers just like any instrument should perform. Playing the pads on screen with differing gestures manipulated the sounds, not unlike how one might do when playing a guitar, or violin. It felt…..natural. Orphion is a musical instrument. There is no record or audio copy paste at this time, but both are planned for a future update. 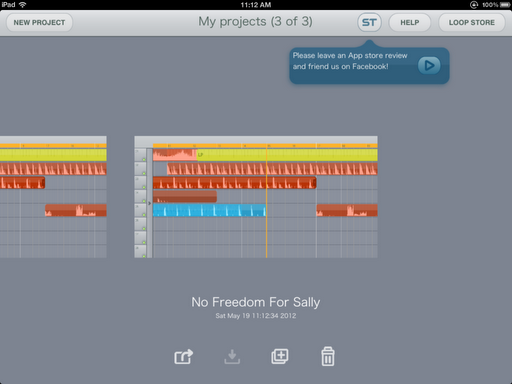 Other improvements and features are under consideration as well, such as an editor for your own pad layouts. I definitely enjoy Orphion and look forward to what’s to come. 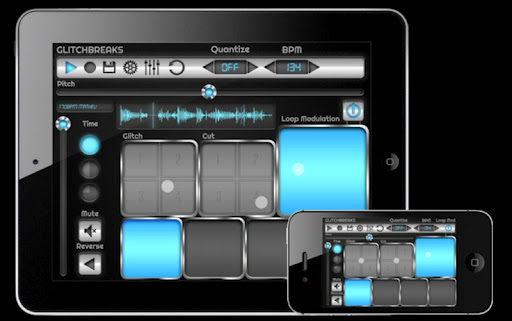 It’s a fine example of how iOS devices can be transformed into any musical instrument one might desire. This is an excellent example of the future of musical instruments bridging the gap between the virtual and real world instruments.